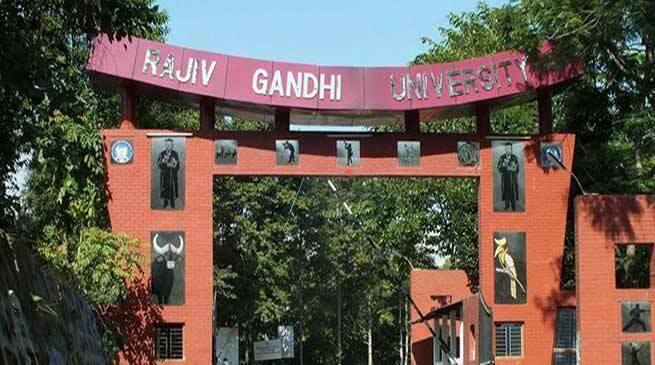 The Rajiv Gandhi University (RGU) in Arunachal Pradesh is all set to host ‘Borderland Narratives: A Festival of Films from Contemporary Northeast India’ from March 23 to 25 at the university campus at Rono Hills near Itanagar. The festival, which has been conceived with a view to create a platform for filmmakers, academics, activists and youth would feature 19 films from all the states of the north-eastern region. It would also host 16 of the filmmakers who will have extended interactions with the audience. The festival is hinged around the central idea that in recent times, there has been a move towards changing the ways of representation of the Northeast as not just a repository of traditional heritage. Festival director, Professor S Simon John of the Arunachal Institute of Tribal Studies, while releasing the list of film being screened, said that with so many eminent filmmakers from the region attending the festival, the audience will truly get a taste of cutting edge cinema of the region. “It’s not just viewing the films, but the discussions and interactions that will follow which are important to us at the festival. The scholars, particularly from the social sciences, will experience how the visual medium is also a key component of how society and culture is being represented,” he said. Films being invited for the festival include multiple-award winning feature films Haobam Paban Kumar’s Loktak Lairembi (Manipur), Sanjib Dey’s Three Smoking Barrels (Assam), Dominic Sangma’s Ma.Ama (Meghalaya), Karma Takapa’s Ralang Road and Dawa Lepcha’s Dhokbu (Sikkim). K C Zoherliana’s Sulhnu (Mizoram), Tiakimzuk Aier’s Nana (Nagaland), Sunil’s Kalai’s Kwthom Kothoma (Tripura), Nyago Ete’s Orunasol Man and Raja Tok Camdir’s Aisa Kyun from Arunachal would also be showcased during the festival. The festival further has a lineup of award-winning documentaries and short films that include Chori by Tribeni Rai (Sikkim), Because We Did Not Choose by Wangphran Diengdoh (Meghalaya), Bloody Phanek by Sonia Nephram (Manipur), Songs of the Blue Hills by film-critic and filmmaker Utpal Borpujari. Where We Bled For Our Land by Napolean R Z Thanga (Mizoram), Haja by Emang Debbarma (Tripura), Songs of the Mist by Kivini Shohe (Nagaland), The Mighty Brahmaputra by Bappa Roy for IGNCA and Those Songs and Lullabies I used To Sing by Kombong Darang for CFEL, RGU is also expected to be screened. Another key feature of the festival is the in-competition segment called ‘Our Lives, Our Stories’ for short films of up to five minutes. The theme for the competition this year is ‘Vanishing Roots: Art, Culture and Folklore’ and a total of six films have been shortlisted for screening at the festival. “The thought behind the festival is not just to bring the films to audiences in our State, but also to explore how there are other ways to look at traditional communities”, shared Festival director Moji Riba.